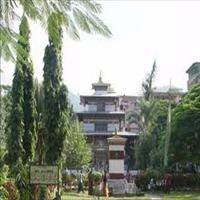 Importance: The town serves as headquarters for the Bank of Bhutan. International Access: Approachable only by road, the city is connected to major Indian Railways node, NJP (New Jalpaiguri). 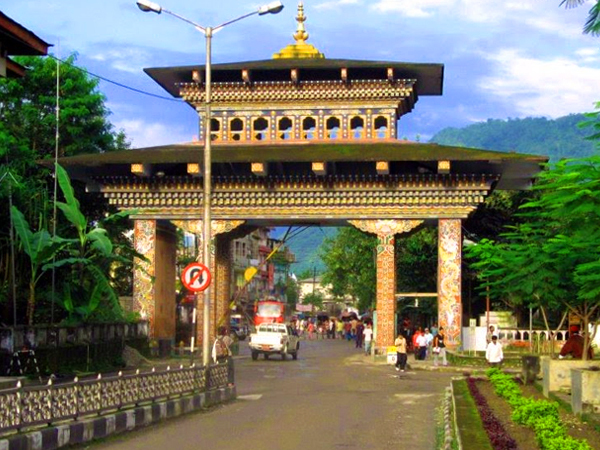 From the northern towns of West Bengal, one has to take a bus from any of the local bus terminals to Phuentsholing. This small modern. 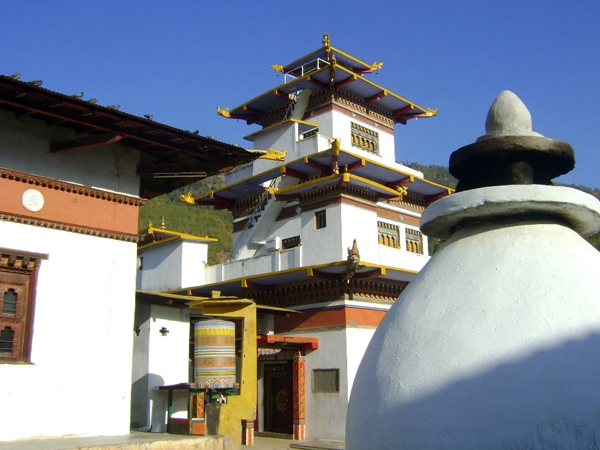 town in the south is the gateway of Bhutan for overland travellers. Like all other border towns, it is only a prelude. Phuntsholing is fascinating mixture of Bhutanese and Indian, a lively centre for the mingling people, languages, costumes and goods. 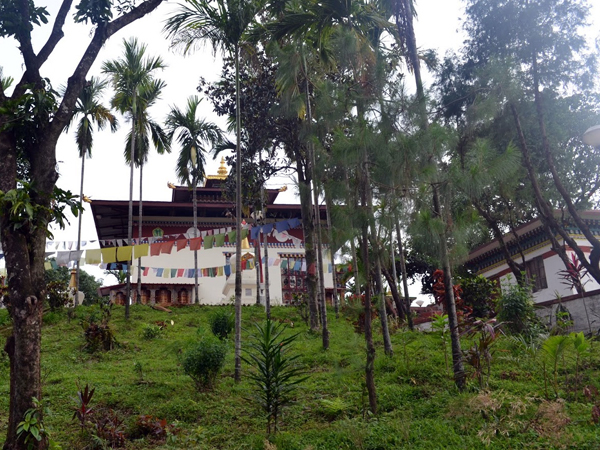 On top of a low hill at nearby Kharbandi, a small Gompa situated in a garden of tropical plants and flowers, overlooks the town and surrounding plains. The Amo Chu, commonly is known as the Torsa river flows alongside this town and it is favourite spot for fisherman and picnickers. From Phuntsholing, the road winds north, over the southern foothills, through lush forested valleys and around the rugged north- south ridges of the inner Himalaya to the central valleys of Thimphu and Paro. It is a scenic journey; forests festooned with orchids cover the mountains on either side and exciting hairpin curves greet travellers with colourful sculptures of Tashi Tagye (the eight suspicious sign of Buddhism). 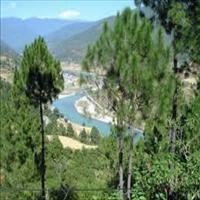 Conveniently and strategically located on the Indo-Bhutan border in southern Bhutan. Geographical Co-ordinates: 26 51’ N 89 23’ E. It is located at distance of 176km from the Capital. The nearest Airport is Bagdora, 4hrs drive. It lies at an altitude of 160 metres above mean sea level. Sub-tropical to temperate (Temperatures varies between 18 degrees in winter to 38 degrees in summer). It experiences all four seasons with a heavy monsoon rain for about three months starting from June. 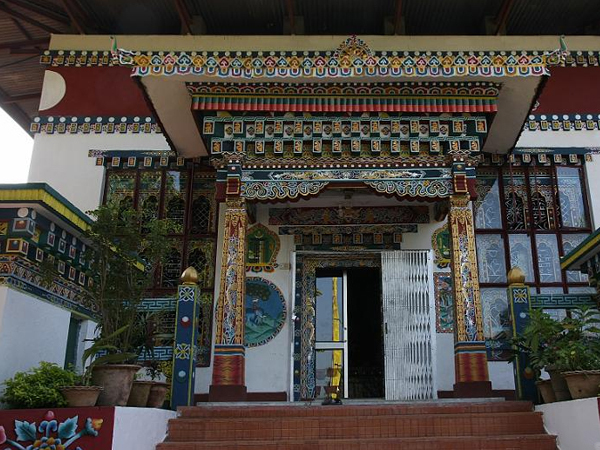 A temple built on the hillock at an altitude of 1300 feet, by Royal Grand Mother Ashi Phuentsho Choden in 1967. The temples contain various Buddhist statues and beautiful paintings of Buddha’s life. 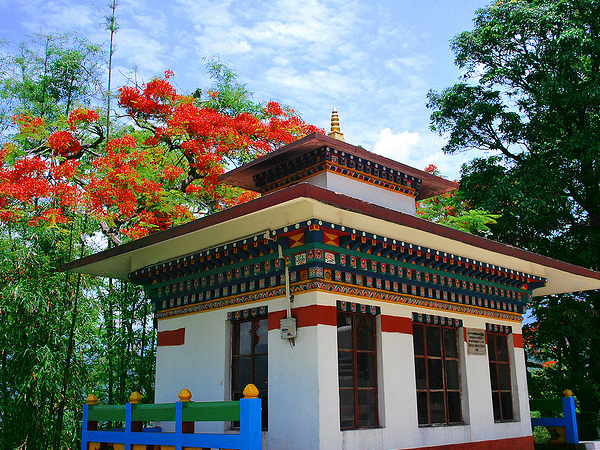 A small temple representing Guru Rinpoche’s abode located in the middle of town. The temples contain various Buddhist statues and beautiful paintings of Buddha’s life.